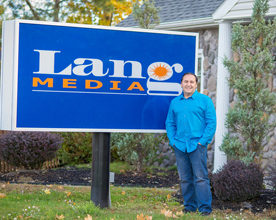 Michael Lang is the President and founder of Lang Media Development. He founded the company in 1995 with literally one billboard property. Over the past 25 plus years, he has built one of the largest outdoor advertising media and real estate companies in New York and New England. A State of New York University (SUNY) graduate, he has owned or operated thousands of “Out of Home” media displays, including New York’s famed Time Square district. In 2015 Lang Media Development divested its New York billboard assets to focuses exclusively on the real estate acquisition portion of the industry. Over the years, he has worked with hundreds of property owners as well as various fortune 500 companies in media. His knowledge of the industry, lease acquisitions and alternative real estate give him a unique advantage to assist his clients. Today, Michael is still very hands on in the business and loves great customer service.